Columbia Gas has a plan for speedy pipe replacement. Is it safe? A Columbia Gas employee was at work in South Lawrence on Monday. LAWRENCE — Safety experts raised concerns Wednesday about the Columbia Gas plan for replacing 48 miles of gas pipes in the Merrimack Valley communities hit by last week’s disaster, calling the company’s accelerated timetable to finish the job in “weeks” unrealistic and potentially dangerous. These pipeline industry specialists highlighted a no-win proposition for the 8,600 customers in Andover, Lawrence, and North Andover waiting for their gas service to return: Either the work is done so swiftly that it increases the risk of another accident, or it’s done so slowly residents risk going into the winter months without heat and hot water. Prior to the catastrophe, Columbia Gas, on average, replaced about 50 miles of its older, leak-prone cast iron and steel pipes a year across all its service areas in Massachusetts, according to state utility filings. 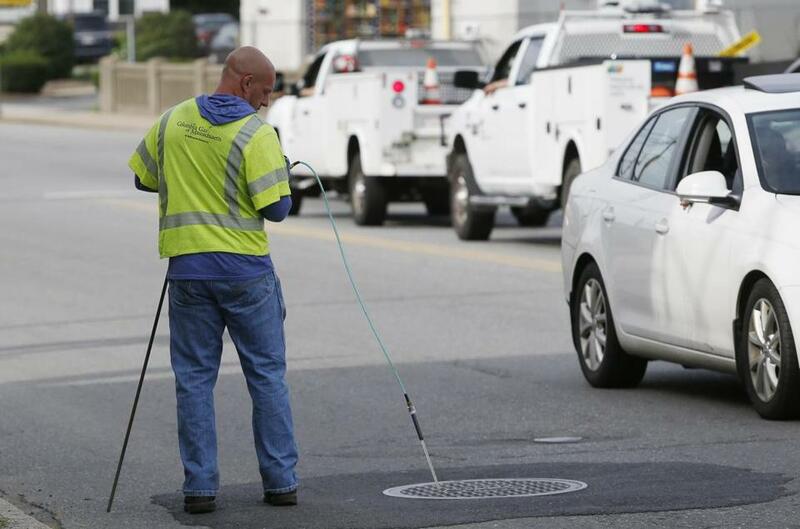 But now, the company has promised to replace an entire 48-mile network of pipes in Andover, Lawrence, and North Andover as quickly as possible. “I know of no other operation in the United States that’s done such an ambitious undertaking,” Kuprewicz added. The rate hike for customers was supposed to take effect while the utility is responding to a gas catastrophe in the Merrimack Valley. Read: Editorial: Is $10 million enough for Merrimack Valley? He and Mark McDonald, president of NatGas Consulting, a Boston firm that investigates gas explosions, said the scale of work before Columbia would normally take many months, years even. 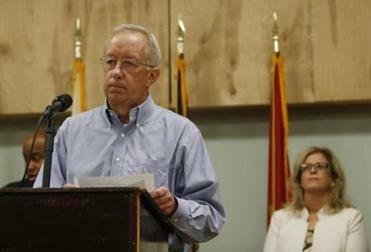 In a statement Wednesday, Columbia Gas said it expects to unveil a “comprehensive” replacement plan “as early as this week.” Company spokesman Scott Ferson acknowledged the project’s scale was unusually large and its timeline fast, but said the situation demands that. “It’s the end of September, and we’re conscious of the fact that we’re getting into the season where people are going to need their gas more than they do now,” Ferson said. But the utility’s sudden need for a surge of workers comes as the energy industry is experiencing a labor shortage, with older workers retiring in large numbers while their younger replacements take years to train and certify. The intense rebuilding plan also comes as another Massachusetts utility, National Grid, has been involved in a lengthy lockout of 1,250 unionized employees over contract matters. Late Wednesday, Massachusetts House Speaker Robert DeLeo added his name to the roster of local officials calling on National Grid to “immediately” end its lockout and resume negotiations with its union. “With the tragic occurrences in the Merrimack Valley and as winter approaches, public safety demands that we have as many trained professionals as possible operating our natural gas transmission and distribution systems,” DeLeo said in a statement. Thousands of residents in Lawrence, Andover, and North Andover are still without gas after more than 80 fires and explosions rocked the Merrimack Valley communities last Thursday afternoon, killing one man and injuring more than two dozen people. The tragedy is under investigation by the National Transportation Safety Board, and regulators have said pressure levels in the local gas pipes were well above normal at the time. The utility, a division of NiSource Inc., had reached a settlement with Attorney General Maura Healey earlier this month to raise rates for its 320,000-plus gas customers in Massachusetts by $33.2 million, including $19.8 million associated with a program to upgrade older, leak-prone pipes. In Lawrence, City Council president Kendrys Vasquez said speed is secondary to safety; if Columbia Gas cannot restore gas service before winter, Vasquez said, it should pay to house people in hotels. Bob Ackley, a gas leak specialist with Gas Safety USA of Southborough, said the Columbia Gas timetable is unrealistic and unfair to businesses and residents who will need to plan for the prospect of cold weather setting in before their heat returns. “People need to start making preparations for winter now,” he said. Kuprewicz said there are several factors in Columbia Gas’s favor that could speed up the process. For one, the new plastic replacement lines are likely smaller in diameter than the older pipes, which could allow workers to slide them through the existing network rather than having to dig large trenches. Also, it will be easier for crews to work over such a large area since gas service is already shut down. Moreover, Kuprewicz noted Columbia Gas already had detailed plans to replace pipes in the communities, giving officials a blueprint from which to quickly launch crews. Some parts of the system should come back on line sooner than others, but Kuprewicz said Columbia Gas should prepare for unforeseen delays and, given the time of year, the potential for bad weather. He implored the company to lay out a clear timeline.